On Sunday 28th July CCR will make the short trip down the M5 to play Severn Roller Torrent. 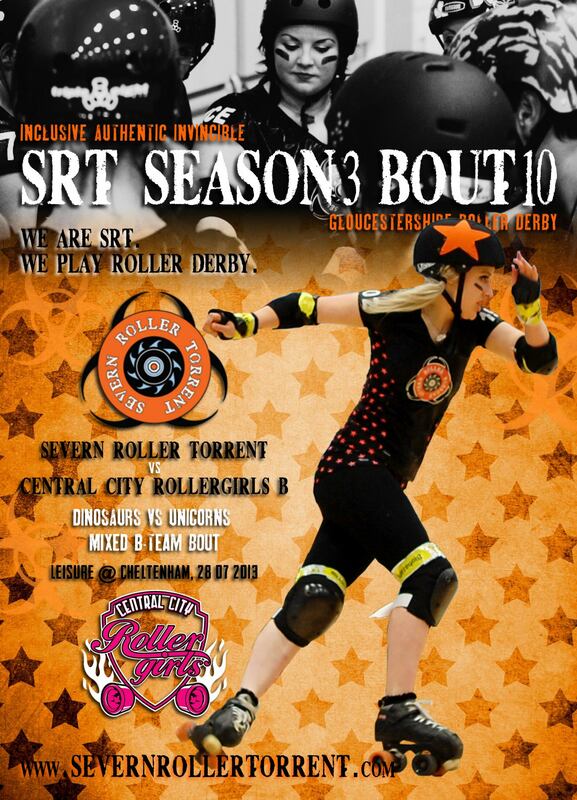 The leagues last met in November 2012 when the Raging Belles took on SRT at home in Birmingham. In that meeting SRT got off to a strong start, but Ragers managed to come away with a win 150 – 128. Since then SRT have shown consistently strong performances in their bouts in the Heartland Series and at CCR, many of last years Ragers are now representing the league in the Slay Belles, who are hungry for victory fresh from their recent defeat to Newcastle Roller Girls. This bout will be the last of CCR’s 2012/13 season so we hope to see you there! As always, if you can’t get to Gloucester on Sunday you can follow us at twitter @the_ccr for updates on the day. CCR are next in action when the Centrinnians open the 2013/14 season with a WFTDA sanctioned bout against Gent Go-Go Rollergirls on September 15th. For more info on this (and the Crash Test Brummies game at the same event) please see the facebook event here.